Your first step should be to watch the two videos following hereafter. They offer you a quick and easy tour through the operation of the TimeWaver McMakin software. After having completed the introduction videos, you can use the Quick Guide as short reference. This PDF document summarizes all the essential operation steps on two pages. Our recommendation: Download and print this document and place it next to your TimeWaver computer. 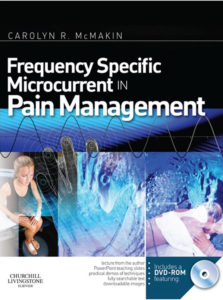 We recommend reading Dr. McMakin’s book Frequency Specific Microcurrent in Pain Management. There you will learn a lot of background knowledge and numerous application examples from Dr. McMakin’s many years of experience. You can purchase this book in most online bookstores.